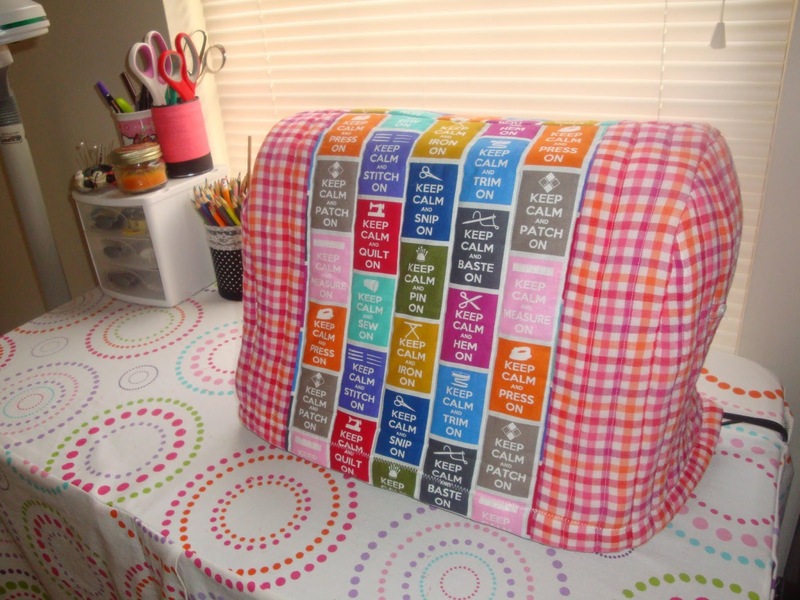 I thought of kicking off the new blog with a fun tutorial on making your own colorful sewing machine cover! My Singer sewing machine came with a plastic cover, which over the years had yellowed and had a tear on top. I also needed another excuse to spruce up the sewing space. 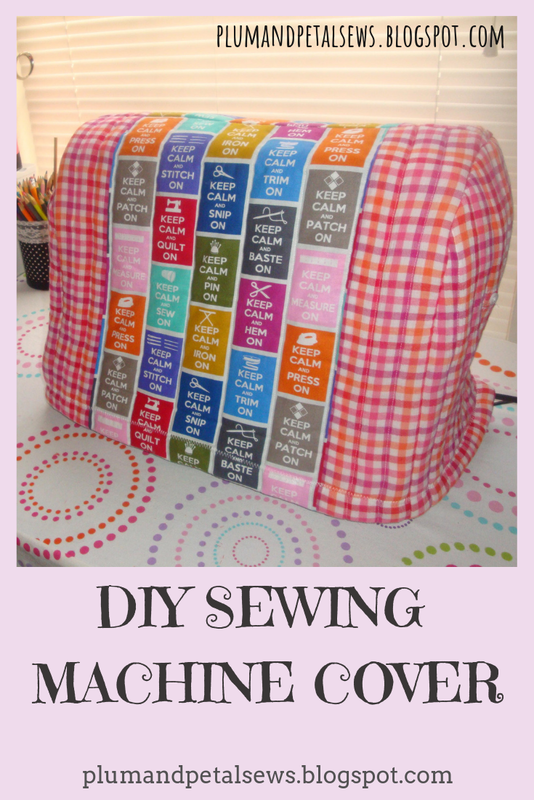 I've seen cozies for sewing machines on Pinterest and they are so adorable! I just had to make one myself. It almost resembles a giant toaster cover (I guess they use to make those!) All I really did was take my old cover and trace the measurements on the new fabric. This project involves quilting. I never quilted anything in my life, but this wasn't hard at all! Just think of sewing a warm cozy blanket for your best friend, your sewing machine! Since I love to repurpose, I took from my fabric stash an oversize gingham check ladies shirt and a scrap piece of woven cotton with the perfect sewing theme, I knew that scrap piece had a purpose! My old and worn out plastic cover...sad. Cut the sleeves from the shirt. I'm really right handed! You'll use the sleeves for the side of the cover. I used my old plastic cover to trace the sides. I use beach rocks for pattern weights and traced with a marker around the outer edges. I used the sleeves for the sides of the machine cover. The top and back are just a large rectangle. All I did was measure the old cover, use those measurements to make 2 large squares to sew together as you can see below. Here are my pieces ready to assemble. I have 2 large squares of colored fabric which I used from the scrap and shirt. There's 2 large squares of muslin and quilt batting. For the sides - 2 pieces of each shirt, muslin and quilt batting. Sandwich the pieces together as shown - colored fabric, quilt batting and muslin. Pin the edges. Take the two large squares and pin wrong side facing out. Place over the machine to determine where your top seam will be. Pin edges as shown. Mark lines on pins with fabric marker. 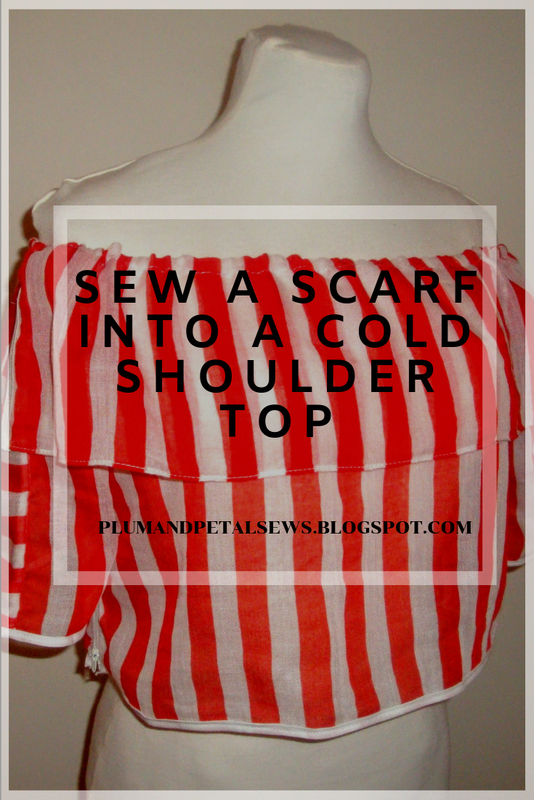 Sew a straight stitch and finish with a zig zag stitch on the edge. Make sure to leave enough fabric on the bottom to hem up. Place top cover back on machine. We're going to attach the sides. Attach side piece wrong side out with pins. Pin side to top cover so it fits all the way around as shown. Mark pin area with fabric marker and sew a straight stitch and zig zag stitch along the edge. Trim excess fabric along edge. Hem the bottom. The hem will be thick, but I hemmed the bottom with just a zig zag stitch. I felt the zig zag was more secure than a straight stitch for hemming. Thank you so very much Pam! I'm glad you enjoyed my tutorial and I'm so happy you shared it on your site. It was a lot of fun putting the fabrics together, I love recycling old shirts! My site is still new, but I look forward to posting more. Have a wonderful day Pam! Beautiful,and you did great quilting. You're a pro! I'm inspired! Thank you so much Susan! This was actually my first quilted project. I think my next quilted item will be a laptop case,I can't wait! Have a great day Susan!! 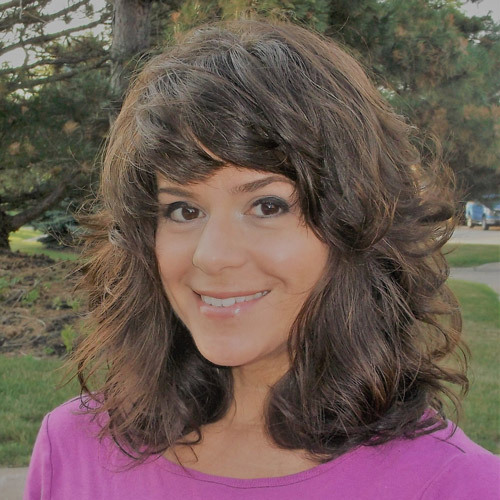 Sewing enthusiast, refashion artist and DIY fanatic.